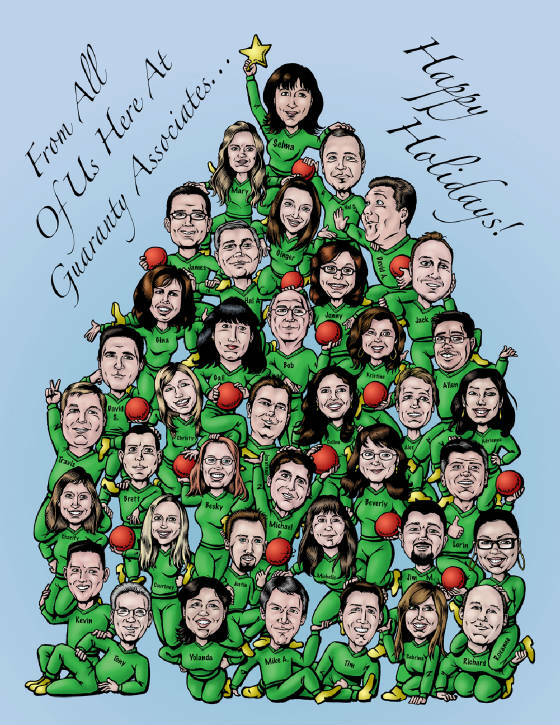 This was a contract for a company Christmas card for Guaranty Group (of Guaranty Bank). It's quite a pile-up at 39 employees! Click the image for the MUCH larger version.